Some people like to call it ‘content curation’. Really, it’s just a fancy way to say you want to share work that is not yours. In theory, this sounds like a really nice thing, sharing someone’s work and giving them an audience beyond their own. In reality, though, it’s intertwined with copyright law; which makes what should be easy, hard. Copyright infringement became easier, as well as easier to detect, as the internet became a daily staple. The general rule is that copyright, in the US, at least, immediately attaches to whatever you create. Although that’s totally simplistic, most people understand copyright law as a protection against other people using their work, be it a photo, drawing, an article, fine art, music, and more. Unfortunately, there are very detailed laws about what is and is not copyrightable, and the few exceptions to infringement, that it’s not uncommon for the lay person, and even most lawyers, to have just enough knowledge about copyright to think they understand it when in truth they don’t. 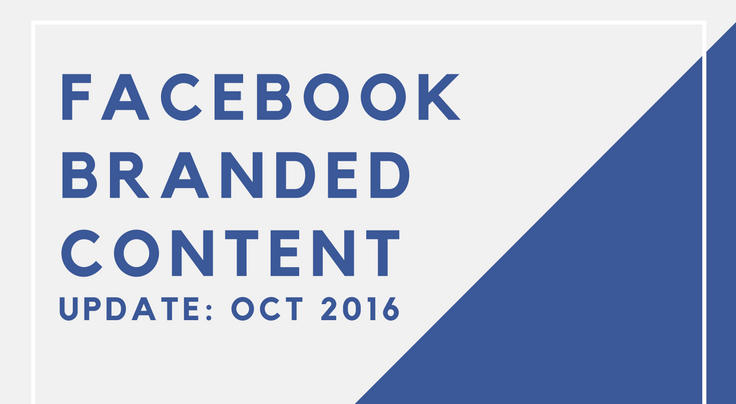 This leads to any number of misunderstandings when other people are sharing our content and when we want to share someone else’s work. The first thing to understand is what is copyright and how it applies to your work. 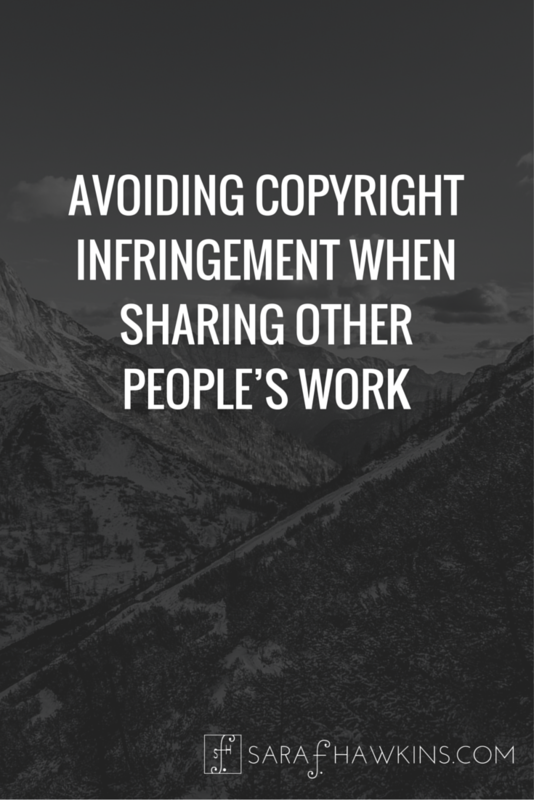 Once you know your work, or the work you want to share, is copyrighted, you need to consider your use and is it protected by exceptions such as parody or Fair Use, or is there a license that gives you the right to share or use. Seems like an easy two-step process, right? However, if you’ve ever read about or been on either end of a DMCA Takedown Notice or any other communication about copyright infringement you know it’s not that easy. Which is why I get hundreds of emails a month about this. So, to make it a little easier here are some basics about sharing other’s work. The easiest way to share someone’s work without getting into legal troubles is to get their specific permission. If you ask someone if you can share or use their work, because remember the copyright holder has the exclusive right to create other works (known as derivative works), and they give you permission you’re golden. In the age of email, you’re likely to have some form of written permission, too. Written permission is good because we all know how memories seem to fade when things go awry. Now you have permission, but understand that this permission likely isn’t carte blanche to do anything your heart desires. If you asked for permission to publish their article in your corporate newsletter, that’s all you can do. If you want to incorporate their song into your video, be clear what you mean about that and how you intend to distribute the video. Keep in mind, you’ll always want to cite the source and provide attribution to avoid any claim of plagiarism. Ways to obtain permission: verbal (not always good if something goes wrong) or in writing. Writing can be a formal email or something as simple as a tweet. Many news outlets will have conversations on twitter, which I would hope they would save should they ever need to refer back. When it comes to general online sharing, we’re fortunate there are licenses built into nearly every major platform just for this purpose. Sharing something on Facebook that is already posted there is as easy as using the ‘Share’ function. If you’re on Pinterest and want to share something, using the platform’s coded features to repin, share on Facebook, post to Twitter, or send by email is all covered by a license granted in the terms of service. When it comes to YouTube, many people misunderstand the ‘embed’ feature and get bent of out shape when their video shows up on some other website. If you’ve enable the sharing and embed features on your YouTube video, you’ve given other YouTube users the right to share your video on many different platforms. No, it doesn’t give people the right to do anything with it, but it’s important to understand what rights you’re giving others just by agreeing to the terms of service or use. For blog post and article sharing, if the website has a share function, usually identified with various icons for the different platforms, inherent in loading up that feature the website owner or their agent is granting a license to readers to share their work by clicking on those icons or share links. 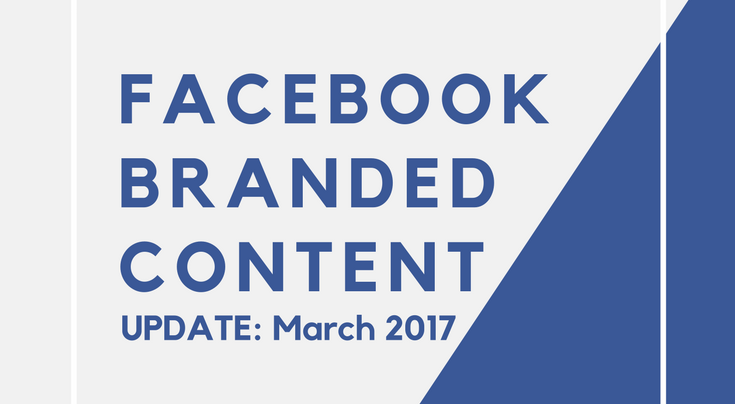 For example, I have a plugin that I use which has the different social platform logos so you can share my post on the different platforms. If you want to share my article on, say, Facebook, by clicking the link your share is protected by the license I’ve agreed to grant. You may see a “click to tweet” embed on a post, encouraging you to share a specific snippet of the article. Again, the author, by using the software, is granting you a license to share their work. You see that for basic ‘in line’ type sharing these links work rather seamlessly. The author gets their work shared to a new audience and you don’t worry about being sued. Pretty good win/win, right? But what if you want to share their entire work and there is no link or icon for you to simply click? I won’t go into Creative Commons too much because I have written about Creative Commons in plain English, which is quite comprehensive. Creative Commons is a licensing scheme where creators give other people permission to use their work in certain ways. Some people just want attribution and you can do whatever you want with their work, commercial or not, while others will let you use the work for non-commercial purposes. Understanding these licenses is important so you can ensure that what you want to do is covered by the license. 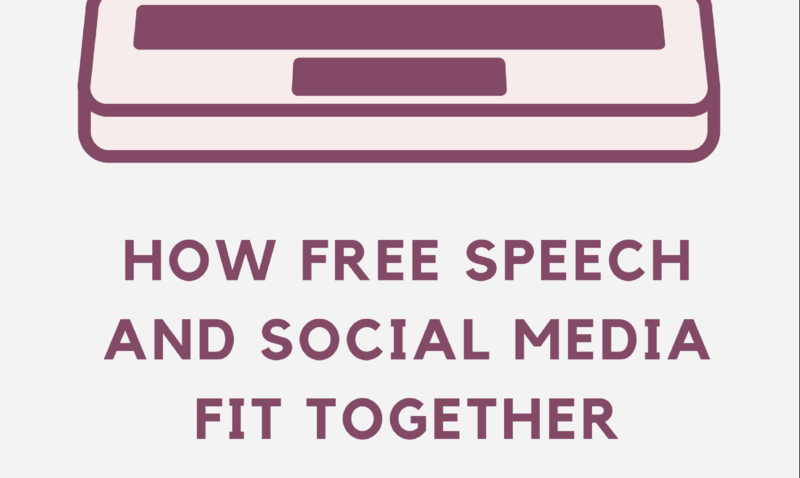 If you want to use the work for something more than basic online sharing and an informal email exchange isn’t sufficient and there is no attached license, you’ll likely need something more formal. With a formal written license, you and the copyright-holder can detail the exact terms of how you can use their work. Like any contract, there are pros and cons so you may want to involve a lawyer if you’re entering into a formal copyright license. The cool thing about many online social sharing platforms is that if you add a URL, the site will pull a small image and some metadata, making it look very professional. This gives the reader something to connect with so they’re compelled to click. A URL hold a lot of information and social sharing platforms will grab basic info, in most cases, making the link more click-able. 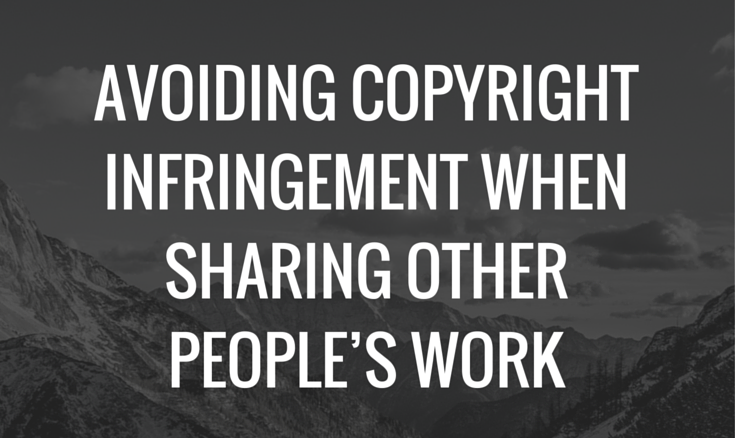 A URL is not subject to copyright so sharing one doesn’t raise copyright infringement concerns. Courts have settled the copyright question about thumbnail images for non-commercial use, saying they’re protected by Fair Use. The metadata that is pulled is often designated, and while it has not been litigated, most understand that pulling designated metadata or grabbing the first 100-or-so characters is covered by copyright fair use. So, go out and share links and pass along good stuff! Sometimes I’ll have people ask me if they can cut/paste an entire article because they want to comment on the article. The easy answer is ‘no’. If you want to respond to or add your commentary to an article, perhaps you can take a few short quotes to give context, or reference certain statements. All with attribution, of course. Generally, though, if you want to comment you can leave a comment in the comments section, if they have one, or you can write your commentary and link to the target article or blog post. One question I get a lot is whether someone can take the image from the article they want to discuss. The simple answer is ‘no’. Of course, there is a more complex answer, but it’s often best not to take the image from an article even if you’re sharing about that specific article. The problem with taking the image is that it could land you in legal trouble, facing allegations of copyright infringement. Maybe you won’t get sued, but you could face a DMCA Takedown notification or a demand for payment for not obtaining a license. Even if photo credit is provided, rarely do we know what arrangement was made with regard to the image. Perhaps it’s the author’s and they don’t really mind. It could be a stock photo and they licensed it for their own use. They could have a written agreement with the creator. Without knowing, using the image could be problematic. Sure there may be a fair use argument if you’re specifically addressing the image and offering it up for your critique, news, or education purposes. However, that’s not what we’re talking about; we’re talking about the discussing the article, not the image. If you don’t want to find your own photo and just want to use theirs, it’s best if you don’t. In this sharing economy, it’s generally good to share other people’s work with your community. But, as with most things, there’s a right way and a wrong way. 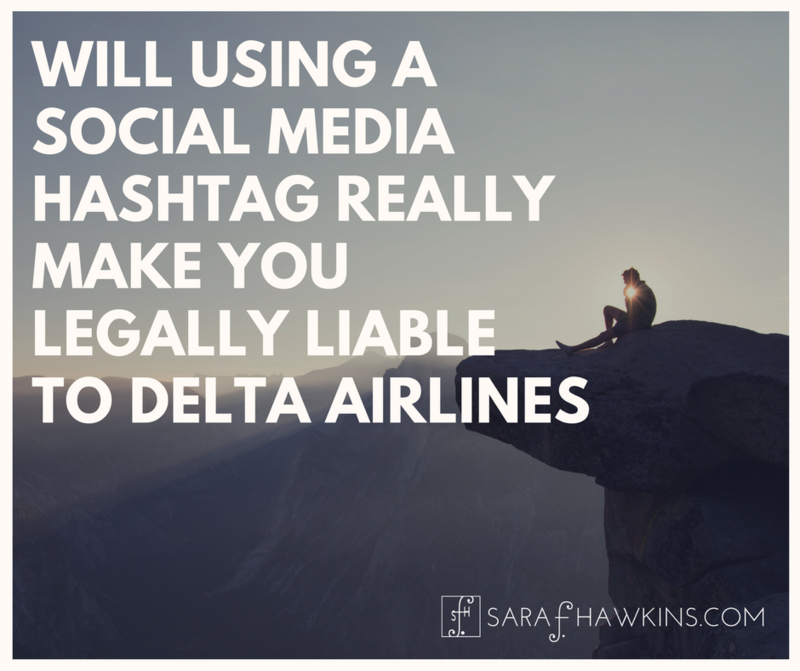 So while the golden rule is a great start, keep in mind that copyright law also comes into play and could impact how and how much you intend to share. And even though it may seem like everyone else is doing it “the wrong way”, don’t give in to the temptation.